 healthfinch's practice automation platform, “Charlie" handles all the routine, repeatable and non-reimbursable busywork currently plaguing physicians and their staff. healthfinch is building a practice automation platform, “Charlie,” that handles all the routine, repeatable and non-reimbursable busywork currently plaguing physicians and their staff. Charlie leverages EMR data to automate these tasks, which is enabled by a robust rules engine and FDA and evidence-based content, like medication protocols. Charlie is more than just a software platform. He/it is, in fact, a powerful staff multiplier. He improves response time to patient requests, identifies and acts upon gaps in care, and safely handles routine tasks the right way, every time. Our Customer Success team is made up of nurses who understand the clinical environment and are therefore able to help clients maximize their use of Charlie. When health systems “hire” Charlie to help their staff, they can task their people with more complex work involved in direct patient care. healthfinch’s co-founders Dr. Lyle Berkowitz and Jonathan Baran are passionate about improving the lives of providers and their staff by automating, delegating, and simplifying the routine and repeatable work that is keeping them in front of their computers instead of in front of patients. To this end, they created a practice automation platform, nicknamed Charlie, to safely and efficiently handle clinical busywork, like prescription refill requests or visit planning. healthfinch has 11 health system clients and has raised over $10M to date. In 2016, “Charlie” will learn to do even more jobs for practices. For curious minds, Baran conceived the name healthfinch as a nod to Darwin’s work with the Galapagos finches, because he knew he wanted to be part of the evolution of healthcare delivery.